Say goodbye to painfully waiting for your favourite Korean dramas to be subbed and be available for viewing, ’cause the highly anticipated Korean drama Scarlet Heart Ryeo will be aired the same time as Korea exclusively on ONE (Singtel TV Ch 513 & 604, StarHub TV Ch 124, 820 & 823)! This drama is a remake of the popular Chinese series 步步惊心. 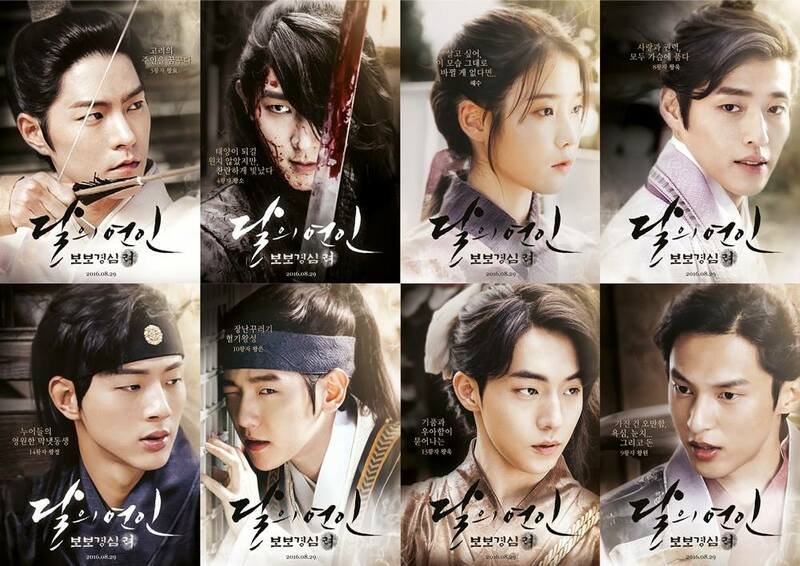 Featuring IU, Lee Joon Ki, Hong Jong Hyun, Nam Joo Hyuk, Kang Ha Neul, Baek Hyun and Ji Soo, we’re expecting this pre-produced drama to be bigger than Decedents of the Sun (DOTS) already! 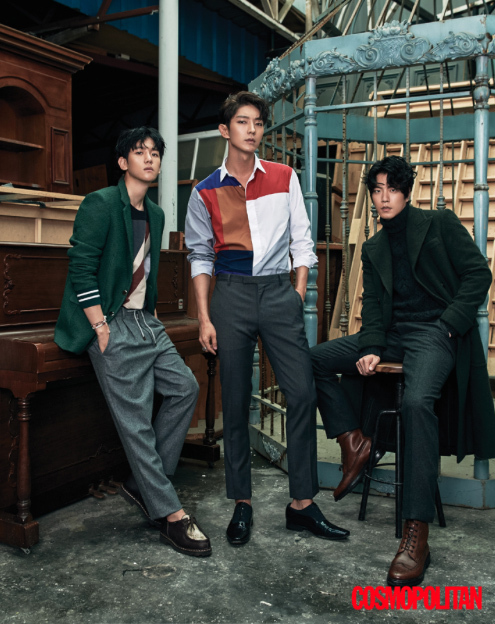 White waiting for the drama’s debut, let’s admire the gorgeous cast in this spread they did with Cosmopolitan! Scarlet Heart Ryeo will debut in Korea and in Singapore on 29 August, airing every Monday and Tuesday at 9pm. First and exclusively on ONE. First was Identity then Supremacy then Ultimatum and lastly (without Matt Damon) Legacy. Our favourite Matty Matt is back as Jason Bourne and he is going to end this once and for all. If you didn’t catch any of the Bourne movies and too lazy to sit through all four, here’s everything you need to know before catching Jason Bourne. Jason Bourne will be in theatres near you 28 July! 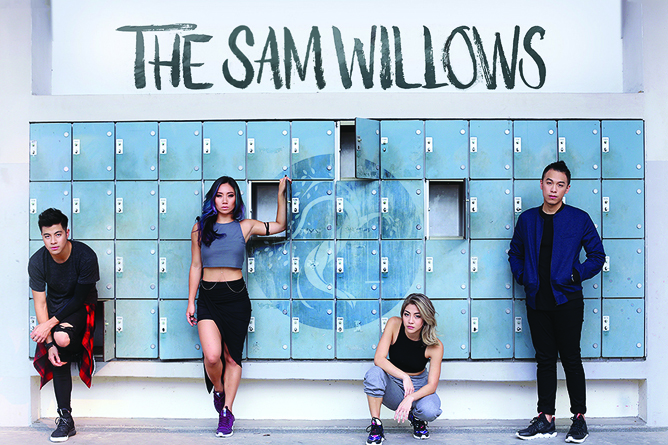 It seemed like yesterday that The Sam Willows was just a group of bright young things churning out pop covers to an anonymous online audience – but on 22 July 2016, the homegrown quartet played to a 2,500-strong crowd at their first headline gig at Hard Rock Hotel’s The Coliseum, Resorts World Sentosa, and boy was it absolutely insane. What followed over the next two hours was an incredible set of crowd favourites such as ‘For Love’, ‘All Time High’ and ‘Take Heart’, as well as a jaw-dropping cover of Little Mix’s ‘Secret Love Song’ delivered in all its harmonised glory. However, what really stood out for us that night was the solo highlights. 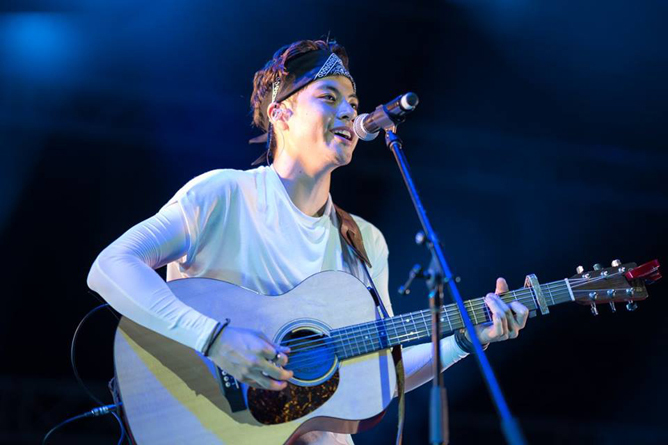 Don’t get us wrong here; while we love The Sam Willows as a whole, anyone who’s seen their live stages that night would agree that it’s impossible to ignore the charms of each member. How phenomenal was Ben’s goosebumps-inducing spoken word poem? How soulful was Narelle’s rendition of ‘Some They Lie’? How sultry was Sandra’s performance of Christina Aguilera’s ‘Ain’t No Other Man’? How electrifying was Jon with his guitar solo and underrated vocals? See what we mean. Yet despite their burgeoning popularity, we appreciate how they didn’t just keep the spotlight on themselves. 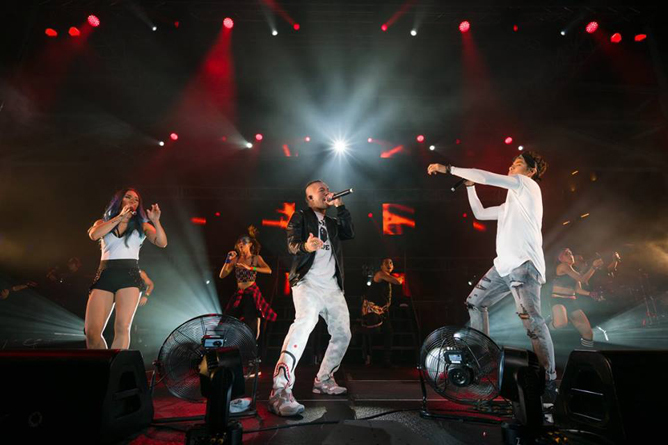 Instead, it was a celebration of local arts and music with Singaporean singer-songwriter Sam Rui and Indonesian acoustic trio The Overtunes opening the show, contemporary dancers and ballerinas joining them onstage for choreographed routines, and lastly, rapper Shigga Shay who made a surprise appearance during ‘Taking All His Time’. Way to go, Willows! Understandably, it was a sentimental moment for the four-year-old band, who finally realised their dreams of putting out a full record and holding a regional concert tour – a massively successful one, at that. In the midst of boisterous applause and endless cheers, the foursome huddled in an emotional group hug after the encore (and ended up triggering even more waterworks from Narelle, who has already exhausted her tear ducts during ‘Nightlight’.) Not gonna lie, we were so close to getting weepy ourselves. Our local music scene may be small, but this evening was a lovely reminder of how tight-knit and inclusive the community is towards one another. We also spotted many familiar faces in the crowd, including fellow musicians Nathan Hartono, Gentle Bones and Sezairi who specially swung by to show their support. Check out who else turned up! Not there in person, but he’s always a tweet away! Last but not least, a mandatory wefie of the #TSWsquad. Group Selfie Commandment #1: He who has the longest arms, holds the camera and forgoes his flattering angle. • L-R: @girlwhocriedwolf @marxmae #GuyWithLongestArms @thelioncityboy @bellywellyjelly @joalong_ • Top L-R: @garethfernandez @ohhowstrange @itsmecarlad @hirzizulkiflie @tabithanauser @chriskwong.mr • Top Right Corner: Proud father of the Kheng’s (@benjaminkheng and @narellekheng). Move over, T-Swift – these are the real #SquadGoals right here. 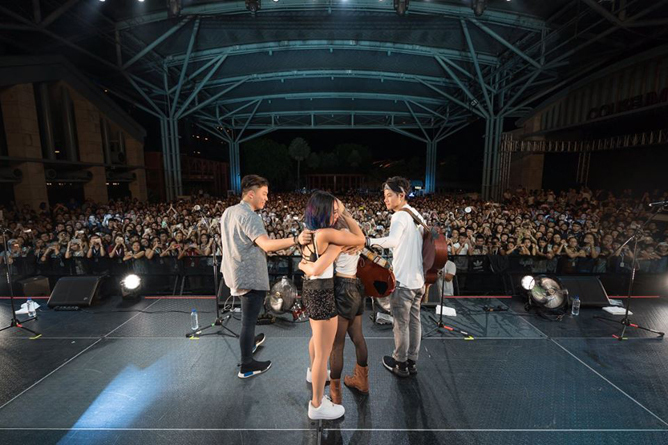 We’re totally feeling the concert withdrawals kicking in now, and if you’re anything like us, why not pick up a copy of our latest August issue and read more about The Sam Willows? Hear ’em talk about their favourite local dishes, go-to Singlish phrases and the most ‘Singaporean’ things they’ve ever done on p.46–47! Comic Con just happened over the weekend at San Diego and for all you fans out there who’ve missed all the juicy Comic Con exclusive releases, we’ve compiled everything here. You are welcome! It has been a long time coming and you can hear feminists all around the world cheering as the trailer played. Though we’re not so sure about the on-screen chemistry between Gal Gadot and Chris Pine, the culture clash between the two characters definitely looks endearing as hell. Wonder Woman is set to be released in theatres June 2017. Since the release of Batman v Superman: Dawn of Justice earlier this year, we’ve been looking forward to the DC’s equivalent to Marvel’s Avengers. Though the movie is still in the midst of filming but hey we’re loving what we’re seeing thus far. It’s nice that Batman not scowling all the time and we can already foresee Ezra Miller stealing the show as the wisecracking Flash. Justice League will be hitting the screens November 2017. For all you Cumberb*tches out there who can’t get enough of Benedict Cumberbatch, they released a second (and fuller) trailer for Doctor Strange. Ignoring that Tilda Swinton was casted as the Ancient One (who’s suppose to be Asian), we’re blown away by the sheer awesomeness of the special effects, the cape flip at 1:47 and that wifi password joke was just hilarious! Doctor Strange will be in theatres November 2016. This film is so heavily marketed, we’re getting bit sick of the hype actually. We want to see more Cara Delevingne and less Will Smith, but we don’t mind more Margot Robbie thank you. No matter, we’re still looking forward to catching it at the movies in August this year! Are you on team DC or team Marvel after watching all these clips? Let us know in the comments below! All you iKON fans out there should know just how much YG Entertainment’s CEO Yang Hyun Suk put these guys through before their debut. Enduring two gruelling survival shows (as if one wasn’t enough) plus countless of training sessions day and night to perfect their choreography, have made their bond stronger than before. Did we mention how we bawled our eyes out during their last performance at the finals of WIN: Who Is Next? In light of their upcoming Showtime Tour this weekend, we share why the lads of iKON are #FriendshipGoals. Which is your favourite iKON moment? Share it with us in the comment box below! iKON will rock the Singapore Indoor Stadium on 24 July 2016 with their iKONCERT 2016 SHOWTIME TOUR IN SINGAPORE! Tickets are still available here. Alternatively, you can follow us on Instagram/Twitter for live updates!